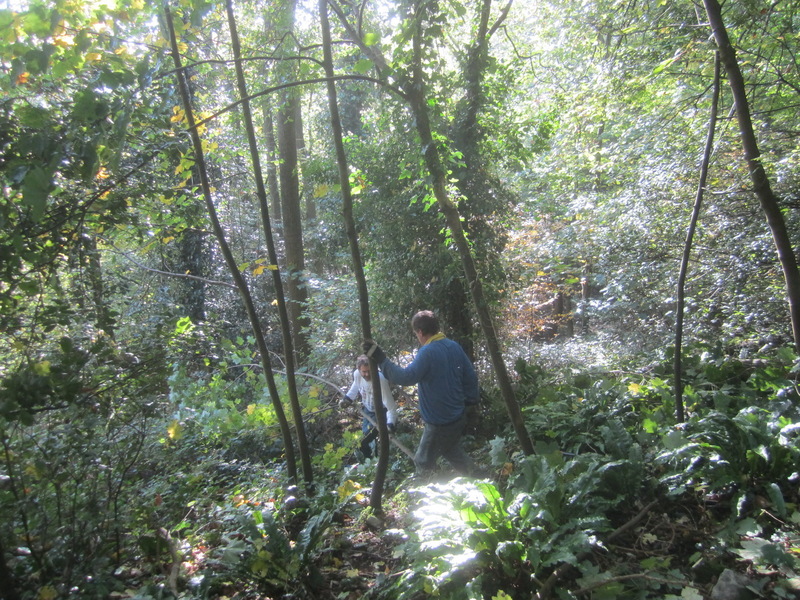 Autumn 2015 saw the Woodcutters back at Clevedon School for more work in the woods. Brambles at the edge of the woodland have regrown since being cut back last winter and are scythed and raked off. The roots will need to be grubbed out and the area weeded until the grass establishes itself and can be regularly mown. Tree thinning continues this year with the cutting out of some self-seeded sycamore saplings and non-native holm oak. This will allow in more light for the benefit of the ground flora and other wildlife and also improve community access into the woodland. Using material found on site, the Woodcutters create an interesting and informal trail through the wood for visiting student groups. Surfaced with recycled chippings, the path leads to a view point over the school and valley. The new woodland trail is cleared of encroaching vegetation. 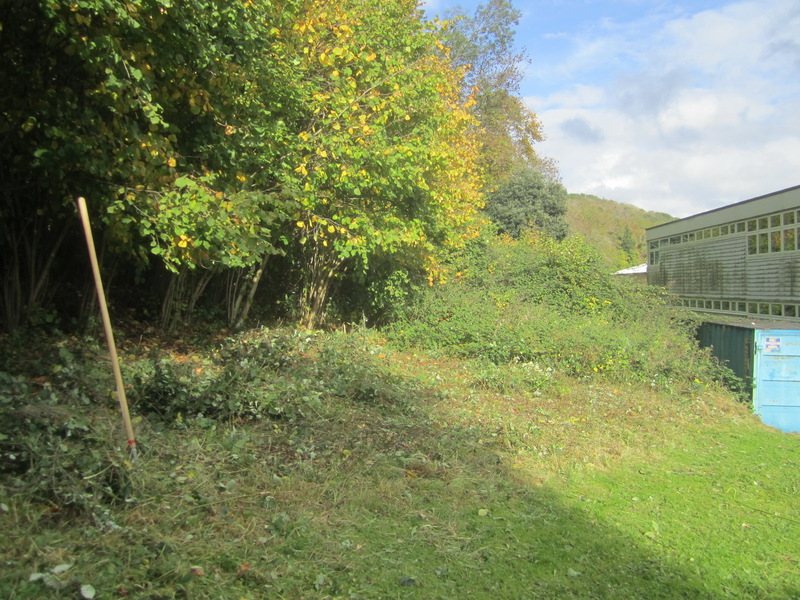 Restoration of a grassy area near the 6th Form Unit continues by scything, raking off and grubbing out bramble roots.